Les Pièges à Rayons. The 6th Continent 5/365. 2015 | J.Harms. 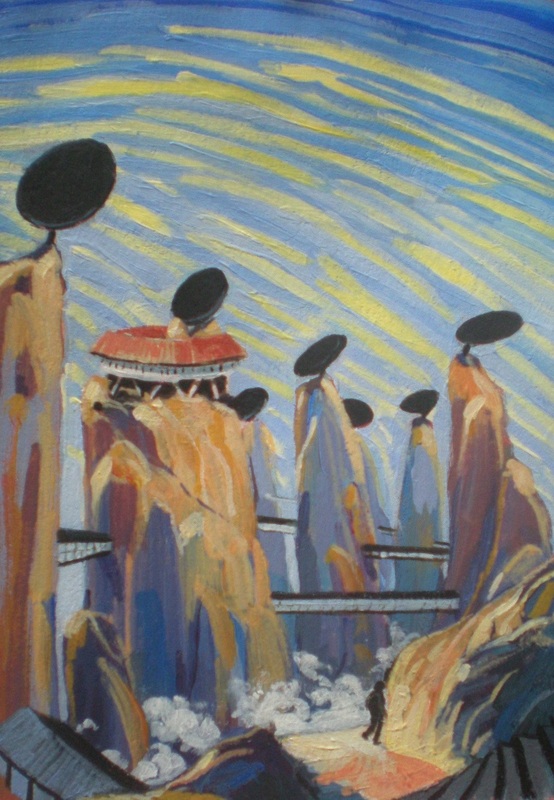 Les Pièges à rayons ( The Light Traps). The 6th Continent n°5. 2015. J.Harms. 10x15cm. Acrylic on paper. What if we could power mountains ? Thank you for dropping by, and thank you for your comment Otto. C’est vraiment très bien. Bravo. This and 6th continent number 3 are currently my favourite. There seems a nice evolution in your style.